Front Tagline: Long time no scream! It's been a year since Lizzy and her family visited the horrific amusement park filled with vile creatures and hideous attractions. No, not Silver Dollar City, HorrorLand. But luckily for her and her siblings, two paranormal TV personalities want to expose the park to the world. Clearly influenced by the X-Files, Stine goes so far as to say the female half of this married duo, Margo Strange, looks like "Agent Scully." Unfortunately for all but lovers of mustaches, her husband Derek Strange does not look like David Duchovny, but rather, and again I'm quoting here, "Tom Selleck." Lizzy and her brother Luke and his friend Clay are already big fans of the Stranges' show, The Strange Report. In fact, as the book opens, they're watching Evan Ross explain Monster Blood to a skeptical audience. In keeping with tradition, even kids watching him on TV mercilessly mock Evan. This will not be the book's only cameo appearance by a past Goosebumps character no one cares about either. The Stranges approach Lizzy's mom and offer her $10,000 if she'll agree to let the kids come with them to Florida. See, HorrorLand keeps moving to different locations every few months. The Stranges have tracked it to Florida and intend to photograph all the nefarious goings-on at the park by posing as Lizzy and Luke's tourist parents. Well, I can see why HorrorLand would want to relocate to Florida. After all, it's not like there's many amusement parks in the state to compete with. The Stranges think that the amusement park is no longer a backdrop for a TV show but something else entirely. Their argument is basically "Oh, remember that thing that happened and you all were there when it happened and saw it happen? Well, what if it didn't happen?" Despite being a firsthand witness to the very real horrors of HorrorLand, Lizzy's mom signs off on the journey. At least she's getting money out of the deal, as there's not even that perk to explain why Luke's friend Clay asks if he can still come along. I guess for an author, the benefit of not crafting characters is that you don't have to worry too much about their motivations. So Margo and Derek take the kids to Florida and they successfully infiltrate the newest incarnation of HorrorLand. Unfortunately, a Horror smashes Derek's camera. I guess they don't like Monsterazzi. There's probably a TMZ = Thirty Monster Zone joke in there somewhere too. The "good" news is that Margo and Derek have secret cameras they won't be showing to monsters, so the couple continue to film as the kids explore the park. If you've ever been to an amusement park, you know the biggest attractions are the rides. But for some bizarre reason, the kids will not encounter a single ride in the entire novel. Instead they visit an Egyptian Pyramid (?) where Luke gets trapped in a sarcophagus until he falls to safety from a trap door. Oh cool, I've read the Curse of the Mummy's Tomb too. This scene goes on for like thirty pages and trust me, even my one sentence summary is padded. The next attraction the kids decide to visit is a Monster Dentist Office. No, really. Once inside, they see row after row of, well, monster dentists, operating on bawling kids with drills. One kid screams out "You broke all my teeth!" and another complains that the dentist drilled his tongue. A third child throws up blood. Lizzy finds herself strapped in and the monster is about to drill away all her teeth when she realizes that the dentist is actually a robot. Oh. After getting out of the tooth-suite tout suite, the kids sort of keep losing and then finding their supposed protectors, the Stranges. The Stranges insist that the kids are never in any danger. The disappointed couple then starts hectoring the children to show them real danger in the park. At some point in all this, the kids get captured in a giant butterfly net by a Horror and are then taken down to a torture chamber. It's then that they meet the Dungeon Master. Dungeon Master, make the book end faster! The constant threat of disturbing violence in this book is really at odds with how stupidly fluffy the plot is. Never fear, before the dungeon can get too scary, the Dungeon Master unleashes hundreds of ferrets to eat the children. No really, how is this even sort of kind of like any attraction at any amusement park ever? The kids escape the ferrets and take in a magic show. Amaz-O the Magician from Bad Hare Day pops up to do some illusions. Only Ricky Jay he ain't. After pulling animals out of his hat, which is cliche even by magician standards, he pulls Lizzy out of the audience and throws her into a cage with a live tiger. Who will disappear, the Lady or the Tiger? No ambiguities are afforded, as the tiger vanishes just before it can Skin Lizzy. Once she goes back into the auditorium seats, she discovers her brother and his friend didn't even bother to stay to watch the whole show. So these kids are marginally smarter than they seemed. She runs around the park in search of the two boys and eventually finds them chained to poles in a desert while vultures circle above. What? I've seen Adult Swim programs with more narrative focus than this book. I guess the reader is not supposed to ask why there's a desert in an amusement park in Florida with giant scavenger birds that for some reason start attacking living human beings? The Stranges, the kids' very very very bad legal guardians, get thrown out of the amusement park, leaving the kids all alone. The Horrors want to capture the kids but then Lizzy gets the bright idea to run into the gift shop, try on the Horror Halloween Costumes sold within, and then walk around amongst the Horrors as one of them. Why, any plan that borrows so heavily from Wacky Racers can't possibly fail! Amazingly, the three kids dressed like Horrors manage to walk right out of the park and hop into the Stranges' waiting van. The Stranges apologize for having to leave, then drive the kids right back to the front gates of HorrorLand. A Horror slips Derek a wad of bills and thanks the Stranges. Turns out the Stranges were hired by the park to see if the kids would reveal the secrets of HorrorLand. Since they were willing, they'll have to die. Um... what? So established TV personalities would be willing to get involved in the needlessly complicated murder of three children? I know most of these books contain their own internal logic and you can't really question plot motives, but this book is so brazen in its ineptitude that it makes the first ever case for illiteracy. The Horrors lead the three kids to the top of a mountain for an attraction called The Final Leap, which is just a steep ledge. Before they can be pushed off to their doom, three more Horrrors show up and walk the kids back down to the ground, which I'm sure is called The Petrified Pavement or something. The kids ask what's going on but the Horrors tell them there's been a change of plans. Once they're safely past the park's gates, the Horrors take off their masks and reveal themselves to be reporters from a TV show called Weird Copy. The reporters reveal that thanks to the kids, the Stranges have been arrested and HorrorLand shut down for good. Wow, these are the most efficient reporters ever. The reporters feel they haven't quite gotten enough good footage, so they drive the kids to something called Terrrorville. Hey, that almost sounds like "terrible," which this book is. Lizzy and her brother Luke, who disappears into a mummy's tomb halfway thru the novel. I guess $10,000 is enough to buy two replacement kids. In another inexplicable instance of this happening in a Goosebumps book, Luke puts his hands in the freezer and then touches his sister's neck. There are so many reasons why this isn't something anyone has ever done. The X-Files, The Dentist, things that are awful. I writhe on the cement floor. I give up: snakes? Not true. Yes, I think you've seen this cliffhanger before. And then I let out a shriek of surprise. More like Return to Sender. Nice job. Definitely worth the wait. What, no vomit in this one? Shocking. Actually my brother totally does the cold hands on neck thing to the rest of us siblings ALL THE TIME. I feel so bad for The Guindo. He should start looking out for plot twists. One of these days, I'm going to have to see if I can get my hands on all the books in the G2K series (along with the rest of the ones that I'm missing from the first series) and read them myself just for the heck of it. I'll probably regret it afterward, but I'll do it anyway. I'm counting the kid who throws up blood at the Mad Dentist Office. This book sounds horrible. At least The Doom Slide was interesting. Everything's more interesting than a fake sarcophagus gag. I'm also pretty sure that HorrorLand ice cream is black, not green as shown on the cover. Goosebumps is on Cartoon Network again, and I realize I've been reading this blog for a year now, starting with Tales to Give You Goosebumps. Hard to believe it's been that long. Haha I actually forgot the ending of this book itself, all I remembered was the last line but forgot what happens. You're forgiven for the late update. I might try the hand in the freezer thing one day. Anyway... looking forward to the next three entries! Jekyll and Heidi cause, well, it sucked, but I look forward to it to be Troyalized especially with a title like that, Scream School cause I forget the end (unless someone who has it wants to be nice enough to email it to me, zak6009@gmail.com ) and The Mummy Walks because I remember liking that one. You're gonna have a field day with the "Questionable Parenting", though. So, is this the worst of the 2K series so far? Because from the review it certainly seems so. Yeah, at some point HorrorLand stopped being a theme park and started being some kind of... Goosebumps historical re-enactment. In the PC game, there was Werewolf Village, and Vampire Village, and a barn and an Egyptian pyramid and Dracula's castle and underground sewer-dungeons filled with monsters, but rides? Only the completely boring Doom Slide. What this review doesn't mention is the part where Derek Strange had a monster tail at the start of the book (cliffhanger chapter ending! ), and when challenged on this, he explains that he was going to a fancy party and had to wear a top hat and tails so he wore a fake tail and I don't know. On the other hand, as a kid, I loved this book for the confirmation that Goosebumps books actually shared a universe. I was that geeky. Less loved was the monster robot dentist. Gods. That was terrible. 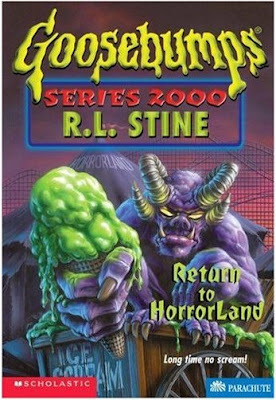 But yeah, it really set the stage for the new Goosebumps HorrorLand; like all sequels, I'm fairly sure Return will have been retconned, but thematically a lot has carried over. Also my gods I hate the new posting system on this blog. "Your request could not be processed. Please try again." Oh, and now the captcha image won't load. I have never read either of these Horrorland books, but after reading your reviews I have no incentive to do so. Wow. Yet another book that was worse than I remembered. Bloody vomit definitely counts. The ghostwriter is cleverly subverting an established motif of the Goosebumps ouvre. I'm not really sure where it can be taken from there - has anyone actually eaten vomit in one of these books? Stine should write a book called revenge of the vomit monster or something and just make it about people vomiting endlessly, similar to that scene from Stand By Me but like 300 pages long and with zero character development. Oh I forgot about the vomiting blood. WELL THEN, CRISIS AVERTED. Guess I better start being extra careful around scientists! What's the vomit count up to now? I think it's 11/13, but I'm not sure. It's 12/13. I had initially pegged the first book as not containing vomit until I realized, "Hey, what are hairballs"
anonymous said: "fear not anon4, i too indulged in the fantasy of a Goosebumps universe, but only because i liked to believe that the children terrorized by those events (now young adults) all attend sponsor meetings where they try to overcome their fears and that this will be the plot of the rumored goosebumps movie..."
It could be worse. It could be something I came up with. And considering some of the plot bunnies I've come up with (including an hour-long "teen drama" Goosebumps TV series, which starred the cast of the first four Monster Blood books and the two girls from the first NotLD), that's saying something. Metallica, Troy? That ain't very indie. Wow. I must admit though, vomiting blood seems a bit extreme for a book targeted at children. Could've used more Bea Arthur. anon6, e mouse jr.: We should have been platonic childhood friends. *wipes tear from eye* Of course, all this is why I'm reading the new HorrorLand series. There may not be all that many classic series protagonists, but Carly Beth met Billy and Sheena, and nobody can take that away from me. anonymous said: "anon6, e mouse jr.: We should have been platonic childhood friends. *wipes tear from eye* Of course, all this is why I'm reading the new HorrorLand series. There may not be all that many classic series protagonists, but Carly Beth met Billy and Sheena, and nobody can take that away from me." Eh... I only got the first thirty when I was younger. Then my mom read one of the books and didn't like the way the kids treated each other, so she stopped buying them for me. I finally started buying up as many of the rereleased editions as I could early this year, and have bought every new HorrorLand book (and the special edition rereleases) as they came out since then. Got all ten (five HL books and five rereleases) so far. I'm terrified to know there's 12 more books that take place in or around Horrorland. So, does anyone in Goosebumps age? Or are they all perpetually twelve-years-old, frozen in time between adulthood and childhood? Who vomits in Invasion of the Body Squeezers, Troy? Anonymous said: "So, does anyone in Goosebumps age? 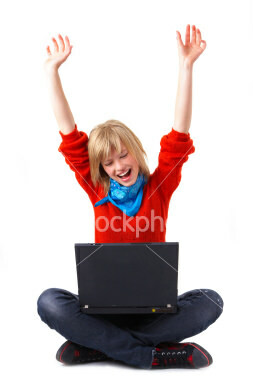 Or are they all perpetually twelve-years-old, frozen in time between adulthood and childhood?" Well, in some of the sequels (Haunted Mask II, Deep Trouble II), the events of the previous books are said to have happened one year before. Strangely though, in Creep From the Deep (which is set a year after the first book and ignores Deep Trouble II), Billy says he's twelve, which is the same age he was in the first book. Sloppy editing, if you ask me. Wait, why am I being accused of taking things personally? Is making a joke about the roles scientists play in Goosebumps books serious business now or something? Everything anon e mouse jr. says about the Deep books is also true of The Haunted Mask books. Except Carly Beth's actually aged from eleven to twelve. I know that in the books, only a year's gone by, but it's still weird reading the new sequels so many years on to find that the characters are pretty much the same age. And that their orginal sequels have been retconned. It'll be even worse if Luke and Lizzy return, which they may well do. They'd probably retcon both a 2000 book and a PC game. In Curse of the Mummy's Tomb Gabe is 12, and in Return of the Mummy he's 13 (which I believe is the series oldest protagonist). So the body of evidence suggests that most of the events in the Goosebumps Universe happened within the span of one or two years? Man that's a lot of supernatural occurrences. Comes out to about 2.5-ish supernatural cases a month all over Goosebumps America. Probably even more, if we factor in the minorities who also experience hauntings and werewolves and aliens. Stine doesn't report their stories after all. Or the monsters are only interested in kids on the cusp of their teenage years. Like poltergeists, you know. "Wow. 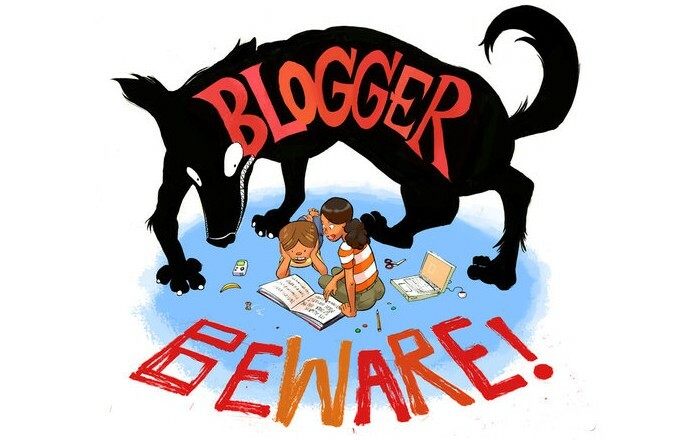 I must admit though, vomiting blood seems a bit extreme for a book targeted at children." I thought the same of a child having a drill put through his or her tongue. Oh Stine, your envelope pushing knows no bounds. Maybe the ice cream is green because it's monster blood. Because, really, what says "horror" quite like growing fifty feet tall and stomping on burn vic--I mean, monsters? It's Tuesday!! Update time... or did it officially move to Thursday? There will be an update tonite. There will also be a second update on Halloween. Thank you sir! I eagerly await your newest entry. Whats The Last line of this one troy? I have bought all of the newer horrorland books. I still have not bought the panic park one yet, but am looking forward to it. Yet, how did horrorland open back up? Oh, and also, in the 11 horrorland book, Lizzy is 13, and someone throws up yellow stuff. This is the only book in the 2000 series I never got to read. It's a shame, really.